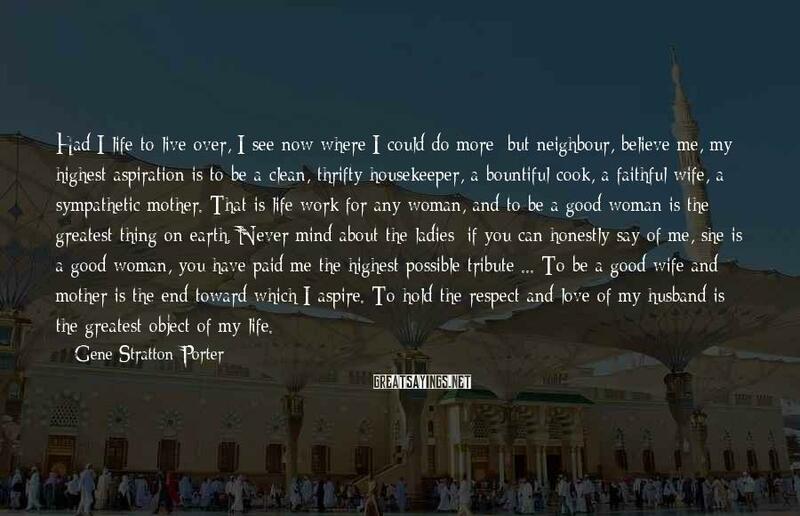 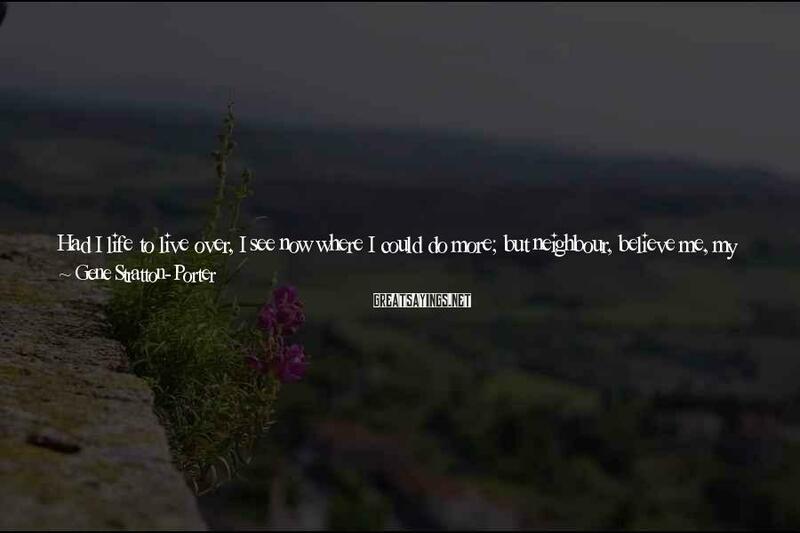 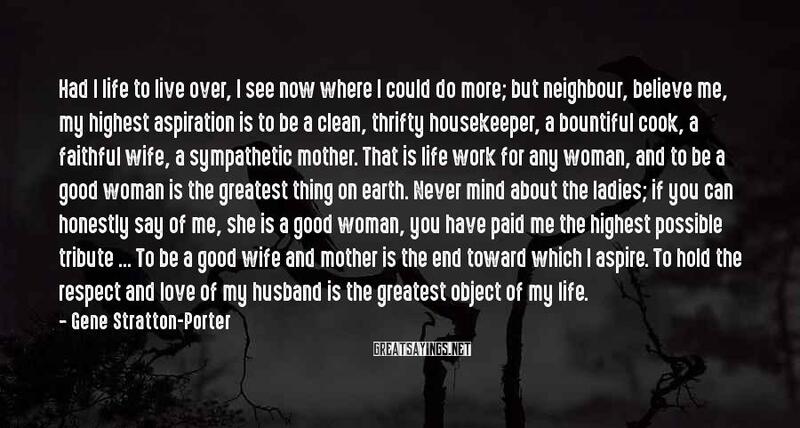 Had I Life To Live Over, I See Now Where I Could Do More; But Neighbour, Believe Me, My Highest Aspiration Is To Be A Clean, Thrifty Housekeeper, A Bountiful Cook, A Faithful Wife, A Sympathetic Mother. 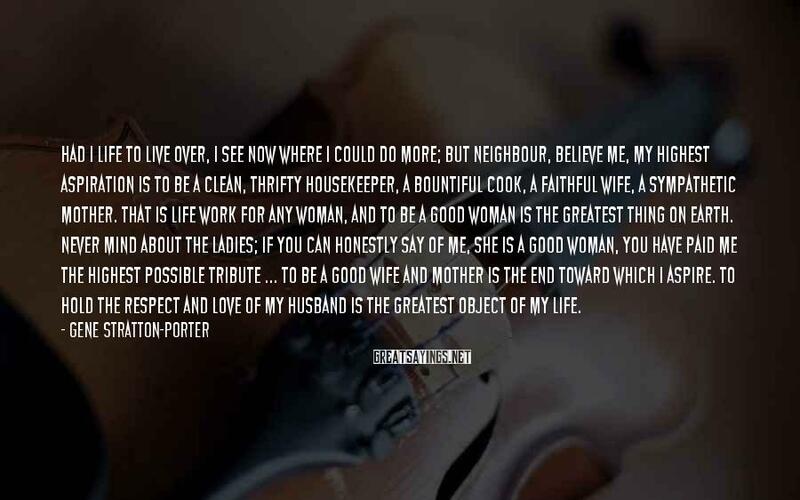 That Is Life Work For Any Woman, And To Be A Good Woman Is The Greatest Thing On Earth. 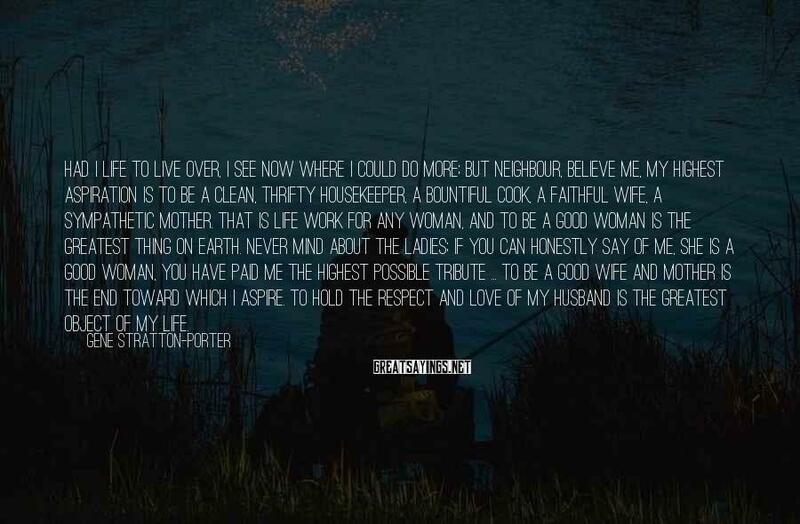 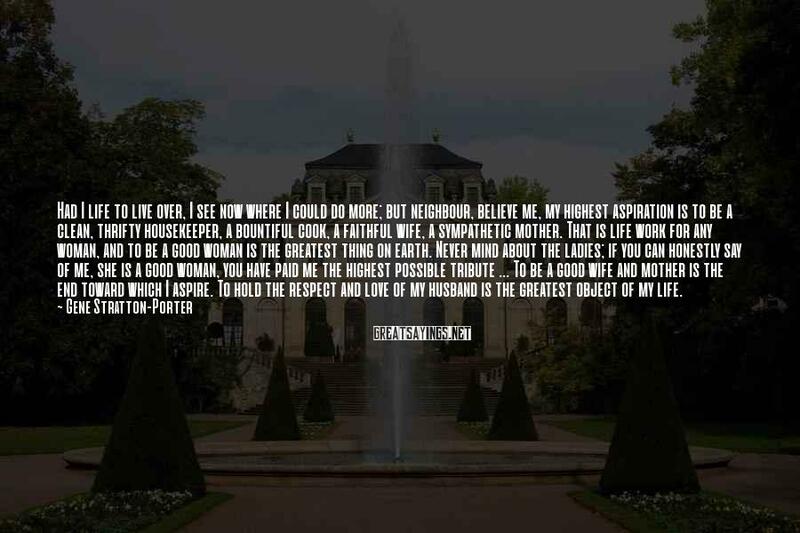 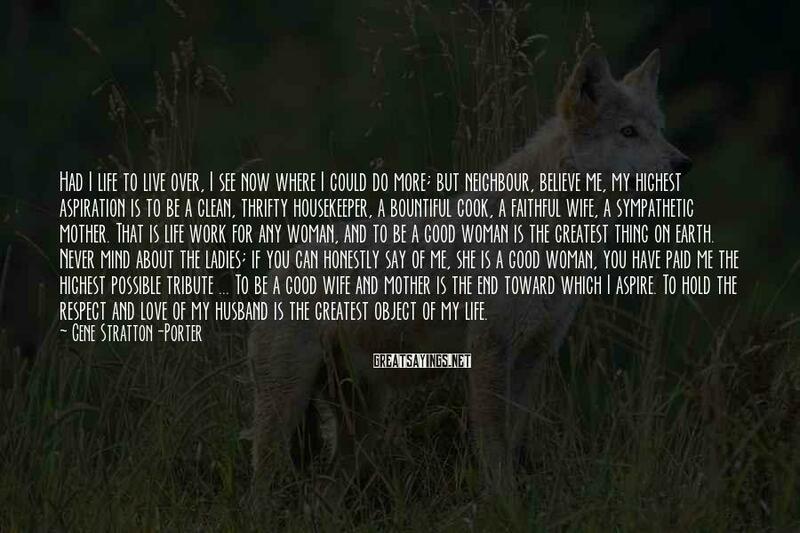 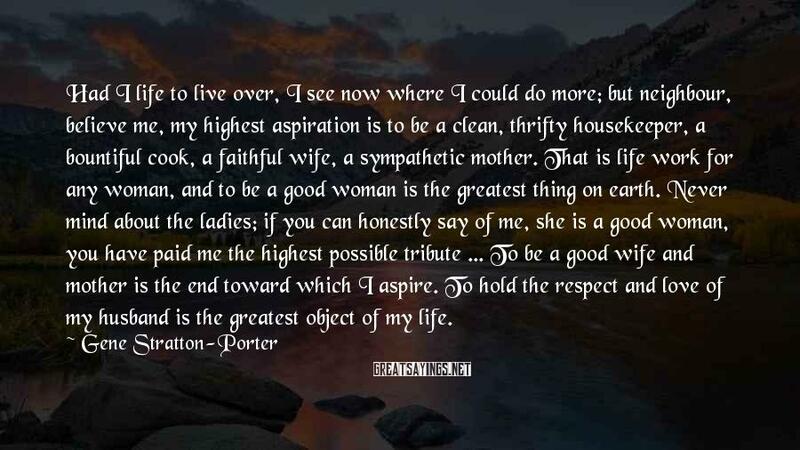 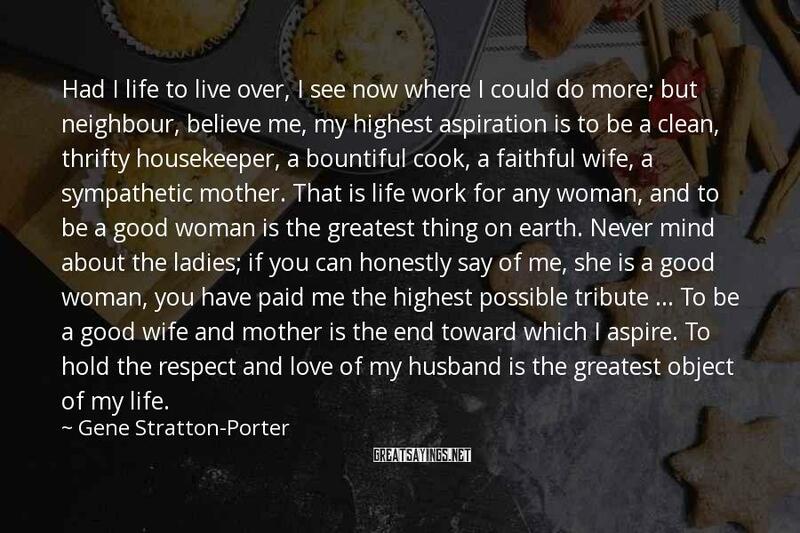 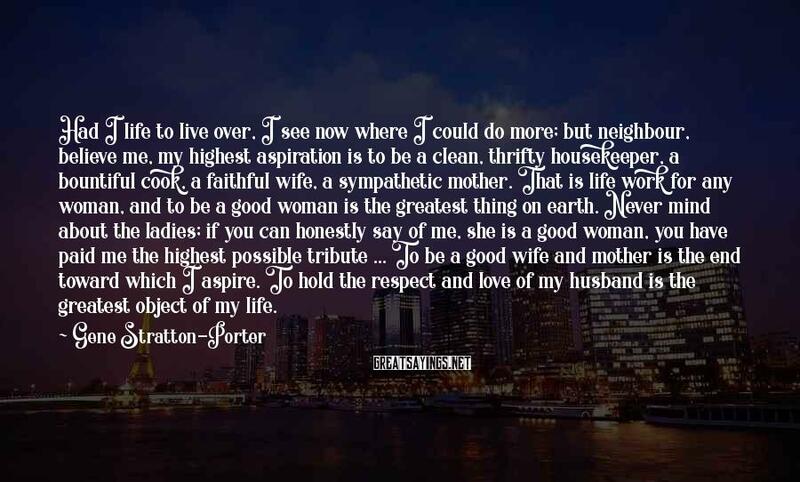 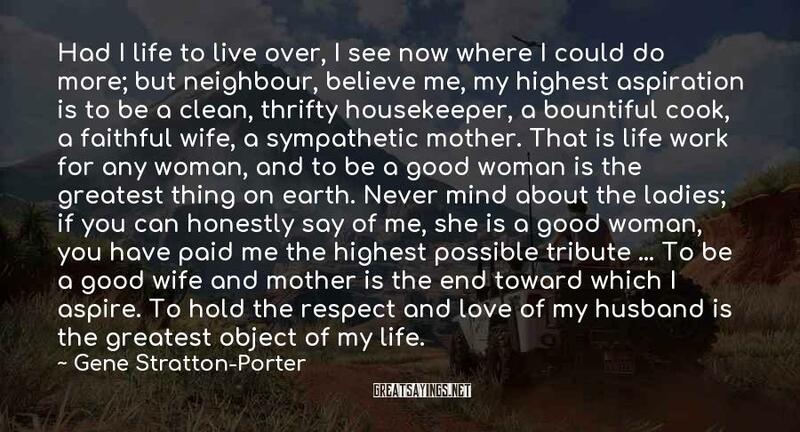 Never Mind About The Ladies; If You Can Honestly Say Of Me, She Is A Good Woman, You Have Paid Me The Highest Possible Tribute ... To Be A Good Wife And Mother Is The End Toward Which I Aspire. 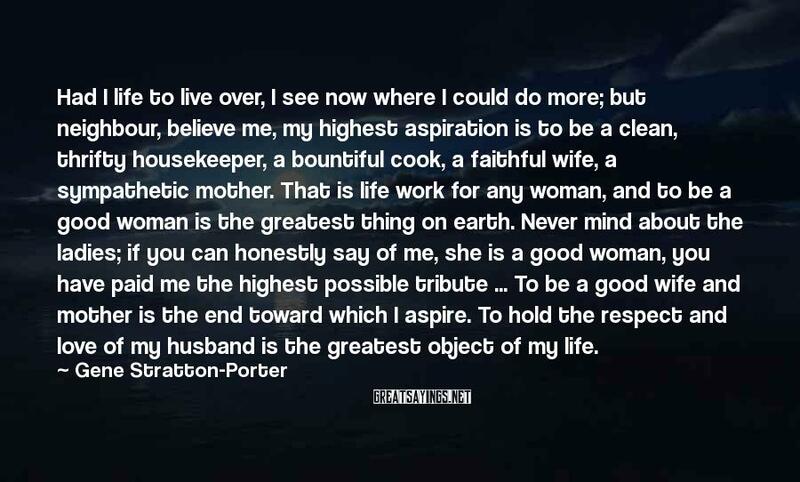 To Hold The Respect And Love Of My Husband Is The Greatest Object Of My Life.